I agree, the Nathan Davis w/Georges Arvanitas Trio reissued by Sam Records is excellent. Big fan of Sam Records. With Sam Records, Music Matters, and now Tone Poet series, this is a great time for jazz fans. TheIncredibleHoke, magnet, Bryce and 2 others like this. 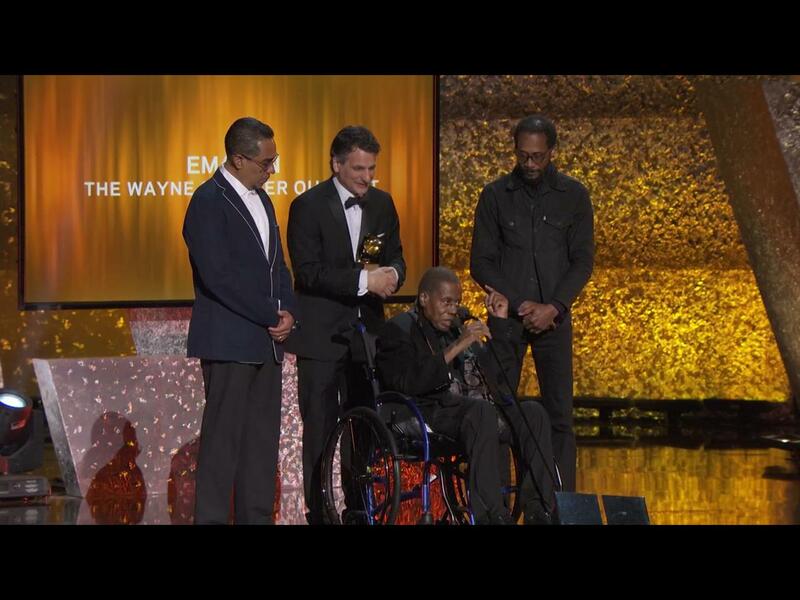 Congratulations to Wayne Shorter for just winning a Grammy for Best Jazz Instrumental Album for his masterpiece 3-LP set Emanon! I'll post a photo if someone can remind me how to do that! Jimmy Cooper, Tommyboy, Admerr and 17 others like this. You probably need to first upload it to a hosting service like Imgur, copy it's direct link and paste it on the field that shows up when you click the button next to the emojis on top of the editor. djost and SoundDoctor like this. I grabbed NHS...great record and glad I did. But etc is the winner to me. I still can’t beleive that record was $26. Carter DeVries, ausgraeme, SoundDoctor and 1 other person like this. Well, these are some hot stampers ! rxcory, SoundDoctor and Joe Harley like this. I’m pretty confident that Acoustic Sounds will procure some of the repressing so this is one of those marked “back ordered” where you will likely end up receiving the album. I, too, recommend this album highly. Don’t sleep on the rest of Nathan Davis’ catalogue either as it is incredibly consistent and rewarding. djost and scotti like this. djost, Admerr, scottpaul_iu and 11 others like this. listening first time to Wayne Shorter - Etc. (Harbeth 7es3 / Rogue Cronus Mag II, EAR 834p/ Rega P7/ Denon DL110) its superb imo. Dynamic, clear but warm. Its all there. Super quiet, flat vinyl from the master tapes...Im sold! jphabc54, rxcory, Joti Cover and 7 others like this. I’m pretty confident that Acoustic Sounds will procure some of the repressing so this is one of those marked “back ordered” where you will likely end up receiving the album. I, too, recommend this album highly. Don’t sleep on the rest of Natahan Davis’ catalogue either as it is incredibly consistent and rewarding. markp, Admerr, souladdikt and 6 others like this. Good news. But how many fans have heard it? Very overpriced. bluejimbop, Bill Why Man and ausgraeme like this. I will look for it on TIDAL this week. Why? I listened in hi-res on Qobuz. I quite like the orchestrated sections, though I prefer the live dates with the quartet, simply because it's stunning to hear these four masters communicate musically with each other. I'd put Wayne's quartet on the same level as Miles' Second Great Quintet; they're seriously that good, and the more live recordings of them available, the better. Now streaming Dexter Gordon's Clubhouse. What a killer title! I'd never heard it before and am thrilled it's coming as part of this series. The Harris/Cranshaw/Higgins section never disappoints, and Hubbard and Gordon are great as ever. Fritz G23, timzigs and ausgraeme like this. My Etc came from Amazon with no bag/shrink. No issues at all, so I’m not going to make a fuss about it. I wonder if there was an issue with these where they needed to open them back up — maybe the wrong record made it into some jackets? I'm just kidding. But seriously, "Emanon" is way overpriced on CD/Vinyl, and I think many of us would prefer a physical release at a reasonable price over streaming. ausgraeme and Lucca90 like this. Agree. I thought about getting it last month until I saw how much it is. Several of the upcoming titles I am planning on going in blind, knowing the music was chosen by @Joe Harley to be released for a reason. So pumped for this title especially! Fritz G23, MisterBritt, scottpaul_iu and 3 others like this. Right? That this was not released at the time is a total mystery to a whole lot of folks. But it was like that at the time for Blue Note. So much going on and only a very few people besides Frank and Alfred working for the company at the time. From what I understand, there were times when they simply became overwhelmed and projects they had recorded fell by the wayside. Tommyboy, GeraldB, bluejimbop and 2 others like this. I'm really looking forward to the Cassandra Wilson Glamoured release. I had been hoping for a vinyl reissue. Great to see that analog tapes were discovered. I assume that means 'masters'. I was seeing Patricia Barber at the Regatta Bar in Cambridge when, at the same time, Wilson was performing across the hall in a ballroom, supporting this album. AshS, scotti and rxcory like this. GeraldB, scotti, bluejimbop and 2 others like this.